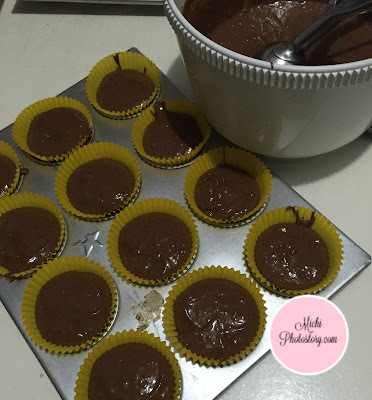 For the last two weeks, my son has been bugging me to bake chocolate cupcake but I was so lazy to bake because of the summer heat and I told him that we have so many food in the fridge, ubusin muna. After our trip in Cebu, we finally baked chocolate cupcake using Duncan Hines Devil’s Food mix P169.95. 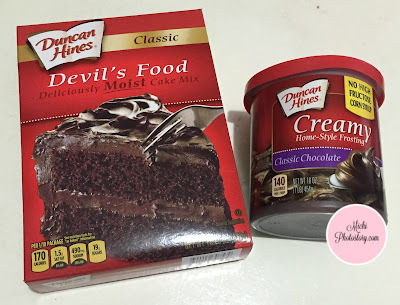 I’ve tried this instant mix three years ago and if I remember it right, the cupcake was not sweet so when I saw the ready made Classic Chocolate frosting of Duncan Hines P139.95, I bought it too. You need 1 cup water, 3 large eggs, 1/3 vegetable oil and instant mix. Just mix the ingredients and pour batter in baking pan. Bake for 18 to 21 minutes at 350F. The cupcake is soft and fluffy but as I mentioned before, it is not sweet so it really needs frosting. 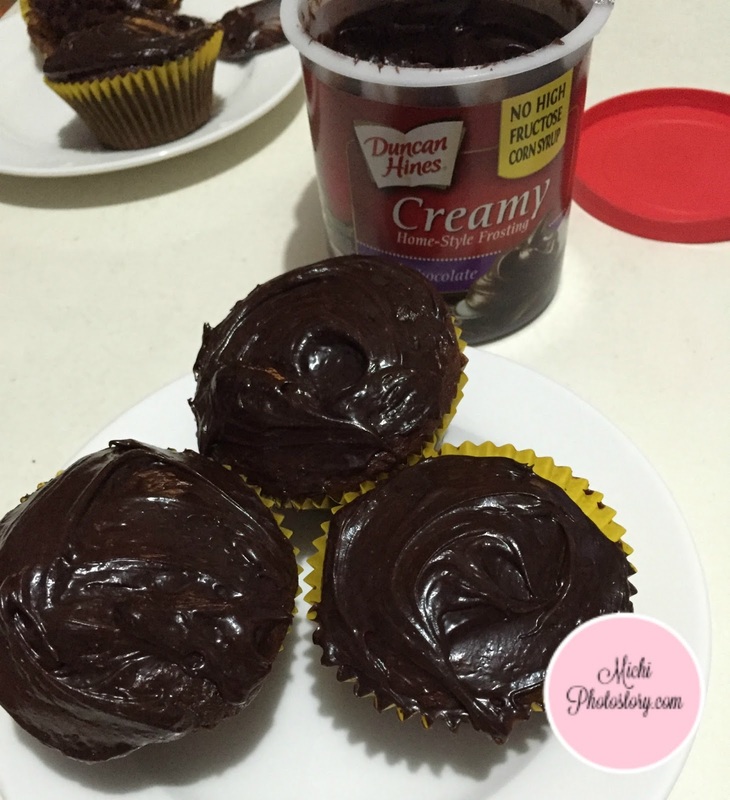 The classic chocolate frosting is so easy to spread and not overly sweet. 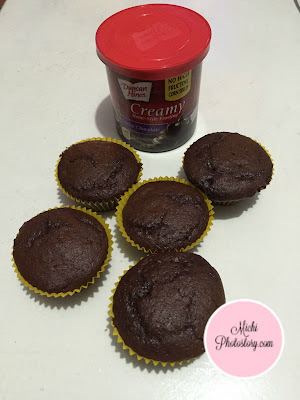 My son enjoyed our chocolate cupcakes. wow! picture pa lng mukang ang sarap sarap na ah... I wish I know how to bake! huhu. kaso I remember, wala pala kami oven! haha.